Rabbi Kevin Bemel joined the United States Navy after spending over 20 years in the business world. After nine years on active duty, he returned to civilian business to help veterans find high-paying jobs and start businesses. 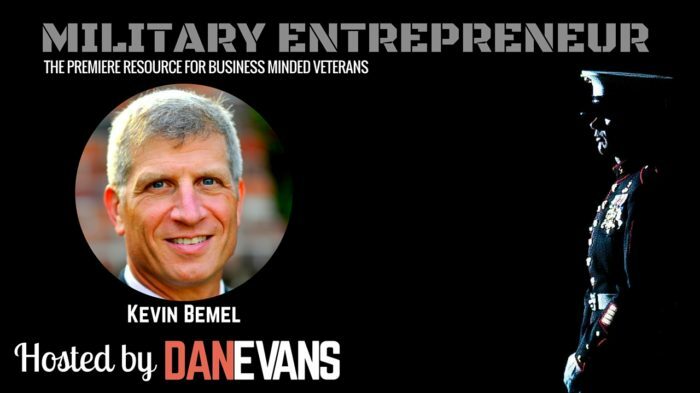 Listen to this week’s episode of the Military Entrepreneur Show and learn winning strategies for transitioning out of the military. Kevin has worked with thousands of Marines and sailors in Okinawa, Japan, during a Persian Gulf deployment with the air wing for the USS RONALD REAGAN (CVN-76); the submariners at Submarine Squadron 11, Naval Base Point Loma; and Airborne Command, Control and Logistics Wing, Pt. Magu. His call sign, which has since become his nickname, is “Rabs.” Today, he is a hit in the blogosphere, at bemel.com, where he writes about fitness, entrepreneurship, relationships, the soul, and making transitions.